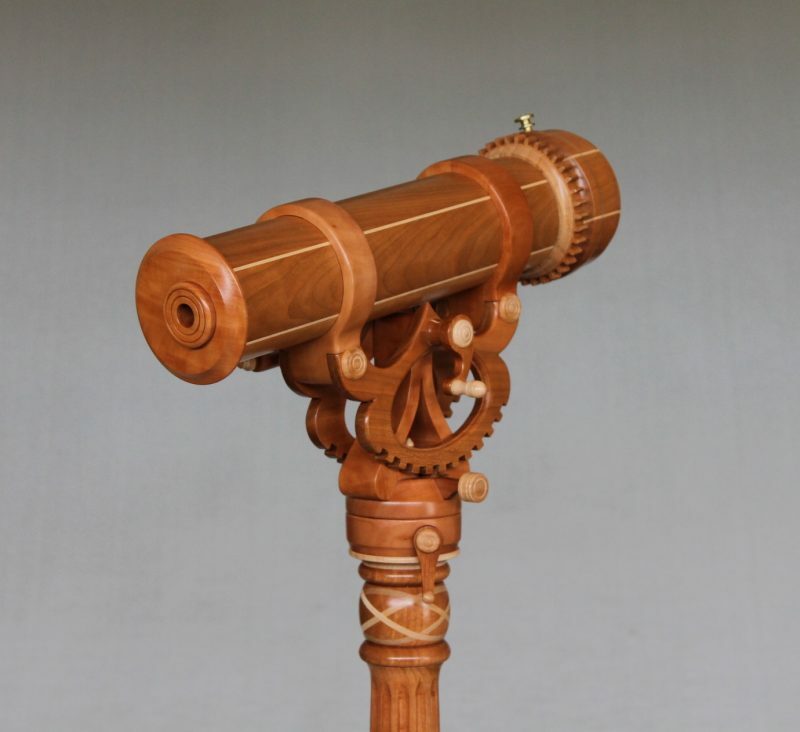 Some pieces are just outstanding! 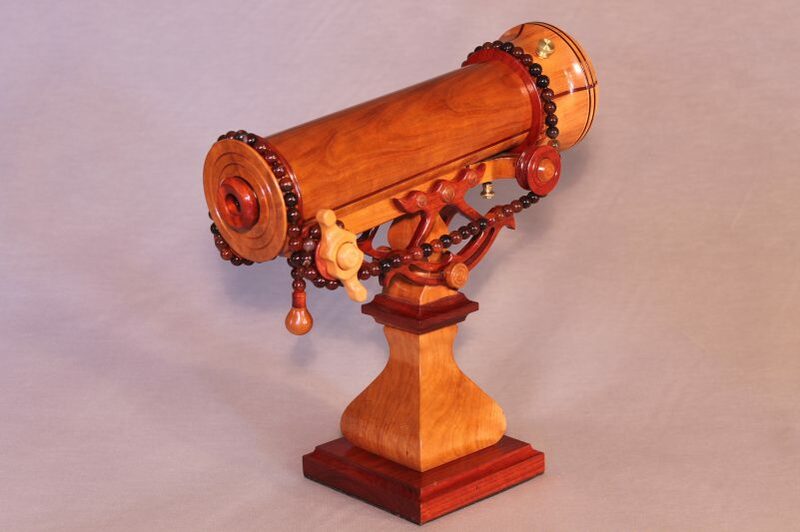 Here you will find some of those precision turnings which are one-of-a-kind and real show stoppers. 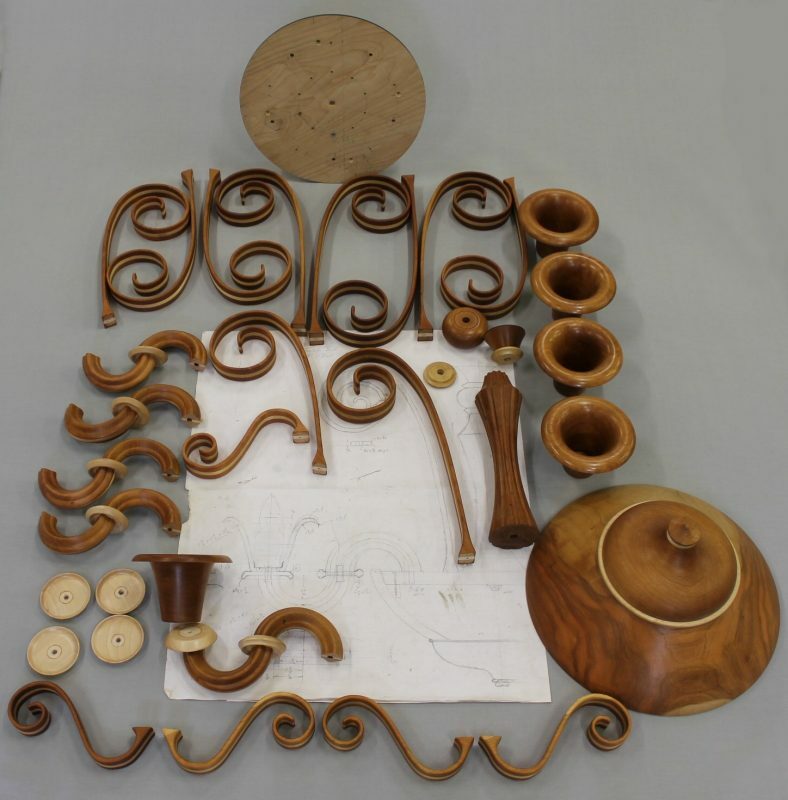 Each stunning design will stretch the limits of turning wood as an art and also as a functional object. 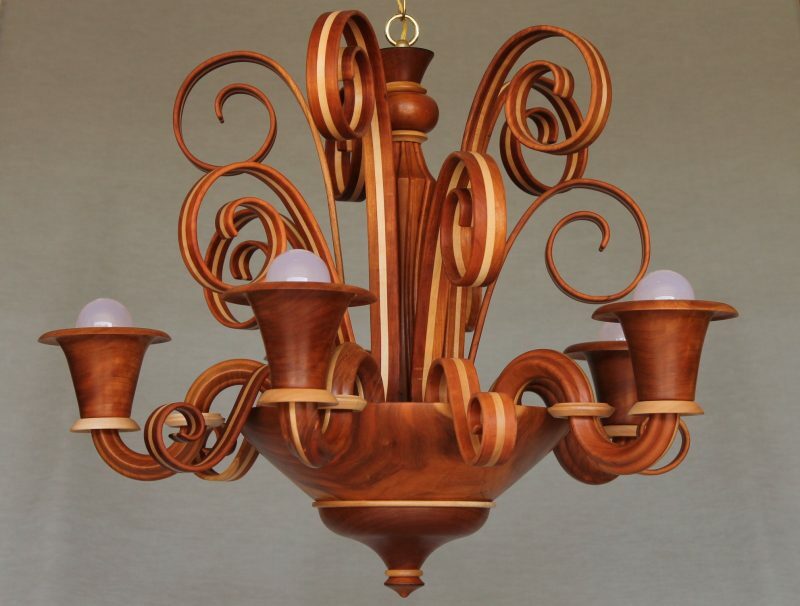 Inspired by the Venetian glassblowers, “Lights Over Venice” is a chandelier of cherry and maple designed and crafted to add a distinctive element to one’s special lighting décor. 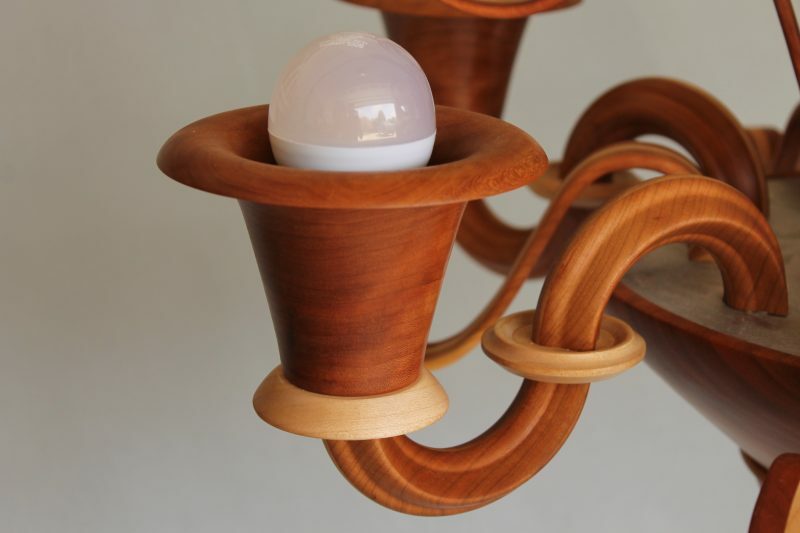 This chandelier features wooden tubular construction for wiring, precision duplication of each flower-like globe and the laminated saw-cut decorative curls. 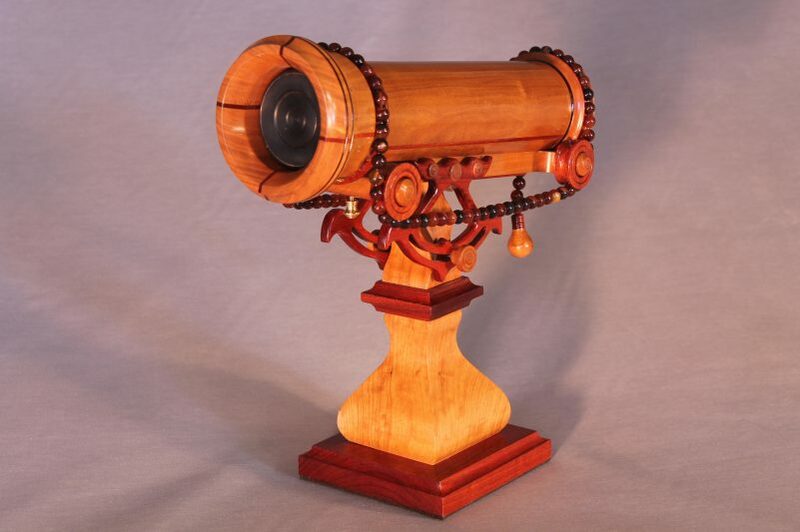 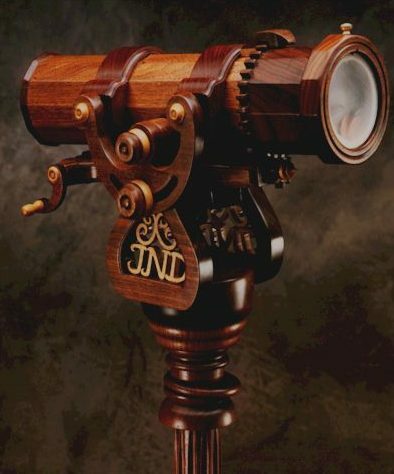 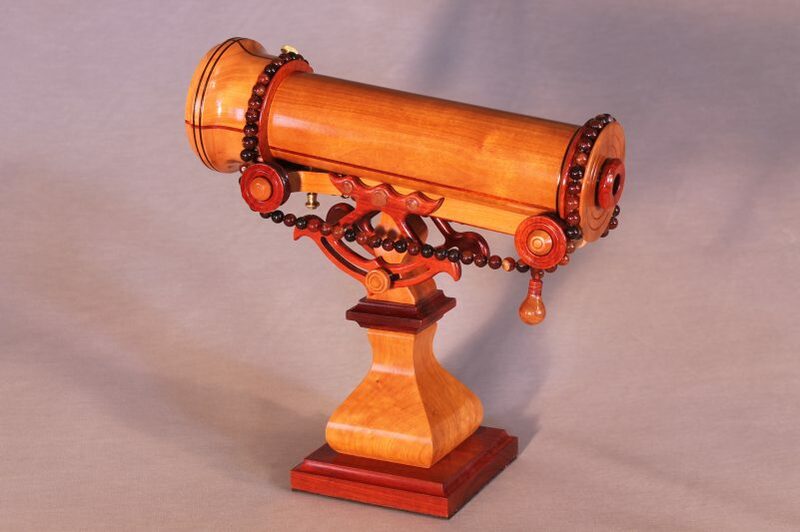 “Flowing Fascination,” a magnificent floor model kaleidoscope of cherry with maple trim, fluted column, hand cut wooden gears, 360⁰ horizontal swivel, locking elevation position, interior illumination, and removable oil-filled object cells is an exquisite piece of furniture in addition to being an object of fine art. 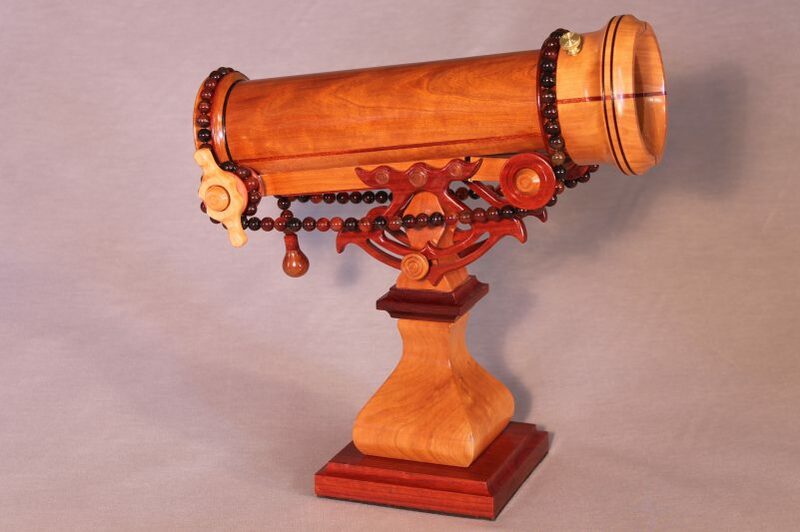 The kaleidoscope is easily disassembled for storage or shipment. 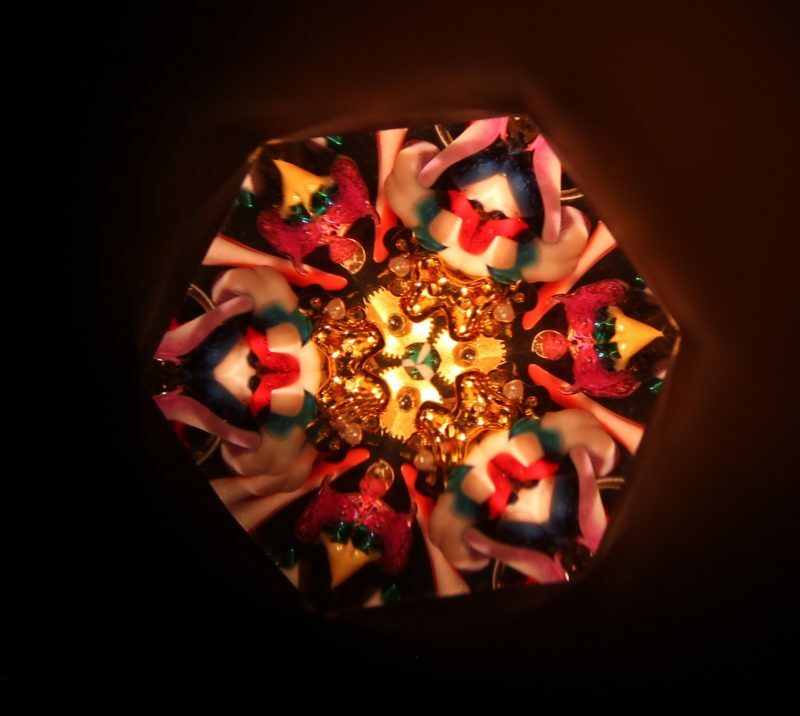 A wonderful addition for any kaleidoscope enthusiast or collector.